EFFERGY ENERGÍA, the consulting firm focused on international management of renewable energy projects based in Almeria, has collaborated in the planning and organizing of a workshop endorsed by the ADB (Asian Development Bank). The goal of the event was the training on the implantation of renewable energies and the clean and sustainable development that comes along with them. The change of Maldives energetic model from a global standpoint, explaining tasks and priorities. Training on solar photovoltaic technology, the country’s first renewable resource. Training on the design and sizing of facilities attending to technical and economic criteria. Management of operations and upkeep for assuring the well-functioning of the facilities during the whole project. The workshop was directed by José Antonio Aguado, Technical Manager of EFFERGY ENERGÍA and professor and the University of Malaga. 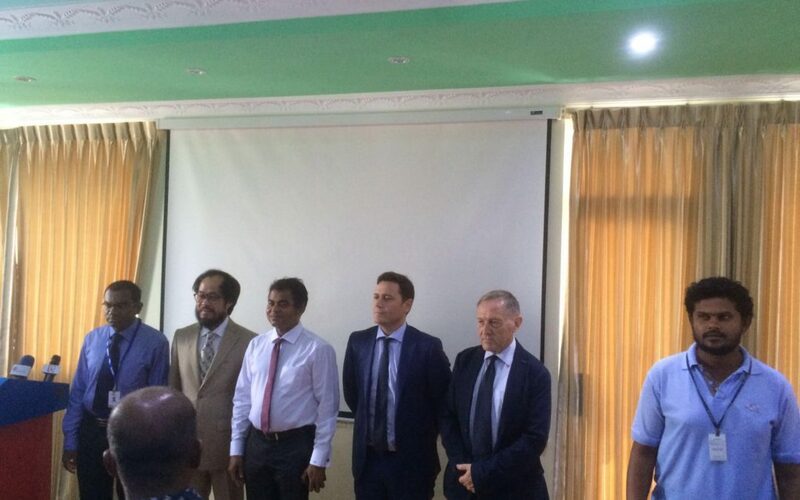 Among the attendees were the employees of Fenaka Corporation and State Electric Company (the biggest electrical companies of Maldives), employees of private companies interested in the field, of the Maldives government and of the ADB.